Our next community event is approaching. 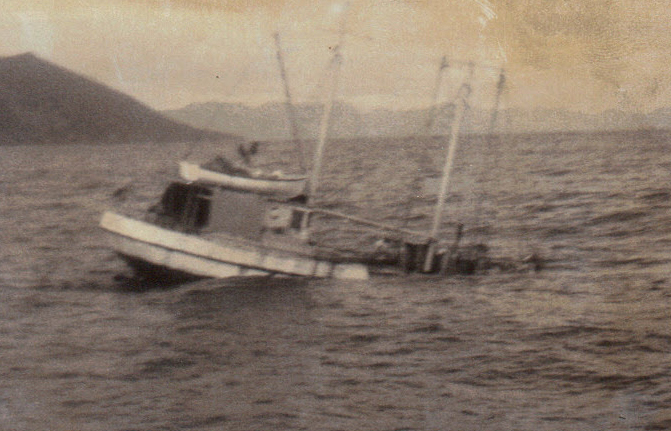 Please plan to attend “Fishing and Coming of Age on the High Seas of Alaska,” on Wednesday, January 28, 2015 at 7:00 p.m.
What was it like to be a young halibut/black cod fisherman in Alaska? Which people and organizations have contributed over the decades to Ballard’s historic fishing fleet? Learn the answers to these questions and more from our presenter, Dean Adams, author of Four Thousand Hooks: A True Story of Fishing and Coming of Age on the High Seas of Alaska (University of Washington Press). Dean will sign copies of his book, available for purchase in limited quantities at this event ($15 paperback/$25 hard copy). Ballard Historical Society and Sunset Hill Community Association bring this event to the community. Suggested donation: $5 -$20. Refreshments provided. We’re delighted to announce our next program, “Fishing and Coming of Age on the High Seas of Alaska,” on Wednesday, January 28, 2015 at 7:00 p.m. Our presenter is Dean Adams, author of Four Thousand Hooks: A True Story of Fishing and Coming of Age on the High Seas of Alaska (UW Press). Learn Dean Adams’ personal story as a young halibut/black cod fisherman bound for Alaska, and about the people and organizations that have contributed over many decades to Ballard’s fishing fleet. Dean will sign copies of his book, available for purchase at this event ($15 paperback/$25 hard copy). The event is brought to you by Ballard Historical Society and Sunset Hill Community Association. 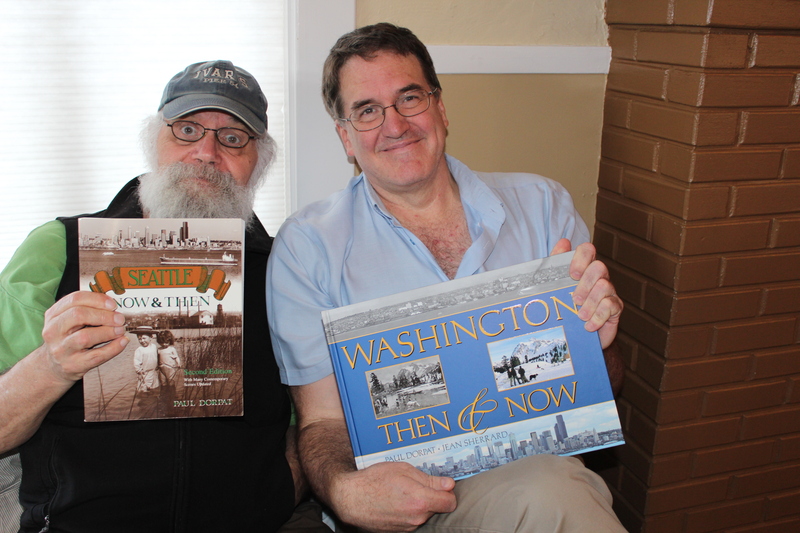 A recently-aired story on KUOW radio attempted to answer the question, “Seattle’s Early Families: Where are they now?” A KUOW listener proposed the story, and reporter Joshua McNichols followed up. The story profiles Zack Cook (Denny family), Kai Braaten (Maynard family), Kathie Zetterberg (Yesler family), and Ken Workman (Chief Seattle family) — all descendants of our city’s early residents. On the radio station’s Web site, you can see the line of descendants from the original family to the current generation. Listen to the story, or read the transcript, by clicking the link below. 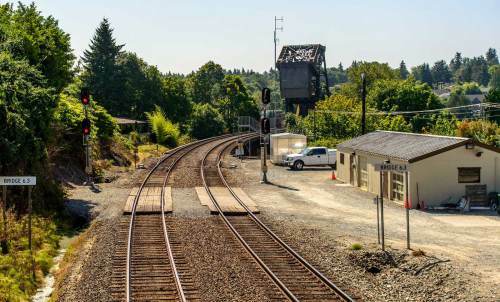 If you value these types of local history projects, tell KUOW.org, and tell your friends by sharing on Facebook or simply e-mail the link below to share the story. Who are the Descendants of Seattle’s Early Families? 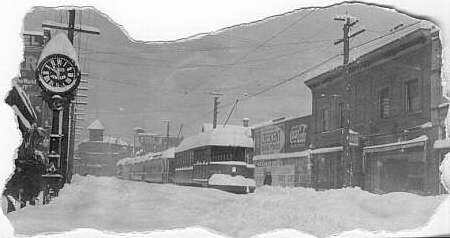 Ballard Historical Society preserves history through its Archives programs and community events. Did you know that aquavit, the quintessential Scandinavian liquor, is being produced right here in Ballard? Or that a residential driveway is home to a growing CSA (Community Sustained Agriculture) farm? Those who attended the Nordic Heritage Museum’s “Ballard: Best Place Ever” on Thursday learned all that, enjoyed the art of Ballard artists, enjoyed wine, and more. Peggy Sturdivant noted that while there are many changes in Ballard, there is still much to celebrate, and local business such as Secret Garden Bookshop to support. Sturdivant also pointed out that BHS membership is as low as $20. We value history, and we suspect you do too, so please become a member — or consider a gift membership today. 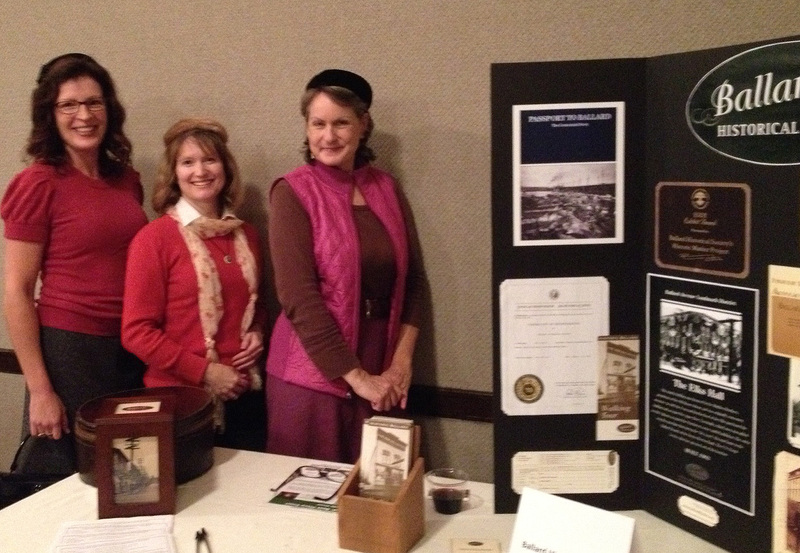 Ballard Historical Society was invited to present at Ballard: Best Place Ever, an event at Nordic Heritage Museum. So we hope you’ll join us for “talks, music, food and vendors.” Details below. If you attend, we’d love to hear about it on Facebook or send a comment to this blog! Ballard residents, business owners, artists and musicians will gather for a fun evening of talks, music, food and vendors. Local speakers will give short presentations on topics like art, urban farming, beer brewing, and food. Homegrown musicians will entertain and local vendors will offer Ballard related items for sale.Moderator for the evening will be Peggy Sturdivant freelance writer, well-known for her popular column in Ballard News-Tribune, At Large in Ballard with Peggy Sturdivant. This event is in conjunction with the exhibit The Color of Time: Ballard from Dusk to Dawn, photographs by Tod Gangler. The exhibit will be open for a special viewing during this event and Tod Gangler will be in attendance. Cost: $5 suggested donation. RSVP to the Nordic Heritage Museum here. It’s been a hot summer, and what better way to cool down than with a cold brew! On Thursday, August 7, 2014 hundreds showed up at Reuben’s Brews to celebrate the release of their new pale ale beers — and patrons also came to donate towards BHS programs through the brewery’s Thank You Thursday program. 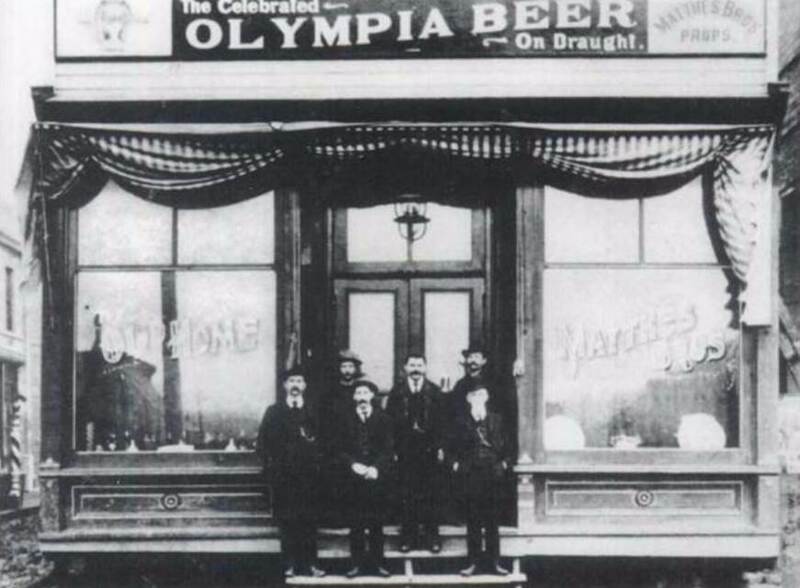 The photo at left of Old Home Saloon in 1903 from the BHS Archives shows that beer and Ballard go way back! The more modern Reuben’s Brews, at 1408 NW 53rd Street in Ballard, is little more than a garage space, but it’s got a big heart. We hope you’ll stop by the brewery to sample what’s on tap, and to say thank you to Reuben’s for supporting local organizations. 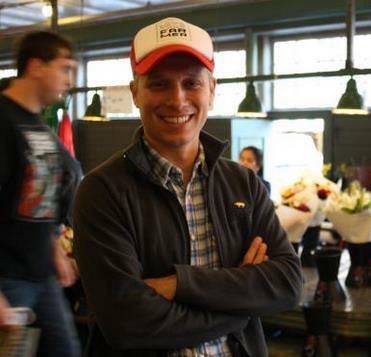 Enjoy pictures of the event — with historical hats, no less! 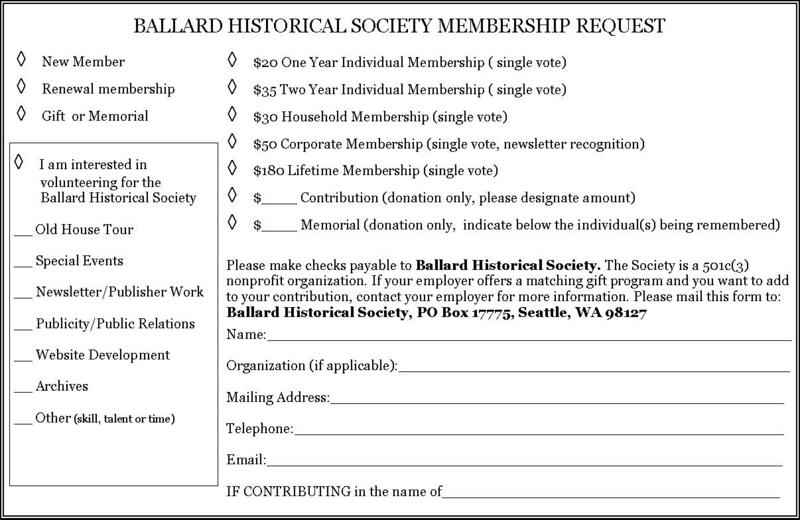 — on our Facebook page at www.facebook.com/BallardHistory. It’s less than a week away! Paul Dorpat and Jean Sherrard join us for a talk on how a myriad of roads lead to (and from) Ballard on Wednesday, May 14, 2014. We know you’ll enjoy their pictorial lecture of Chittenden Locks, the Ship Canal, bridges and trollies, the former Ballard-Port Ludlow ferry and beyond. What: Lecture and Q&A session with book sale following. Refreshments too! When: Wednesday, May 14, 7:00-9:00 p.m.
Visit Sunset Hill Community Association Web site for accessibility information, or call SHCA at 206-784-2927. Paul Dorpat and Jean Sherrard of Seattle Now and Then will present “Measuring Ballard and Beyond” on Wednesday, May 14th, 2014 at 7:00 p.m. Join Ballard Historical Society for a public lecture. Dorpat and Sherrard will show us how a myriad of roads lead to (and from) Ballard. Their pictorial lecture will cover the history of Chittenden Locks, the Ship Canal, bridges and trollies, the former Ballard-Port Ludlow ferry and beyond. This event is co-sponsored by Sunset Hill Community Association. 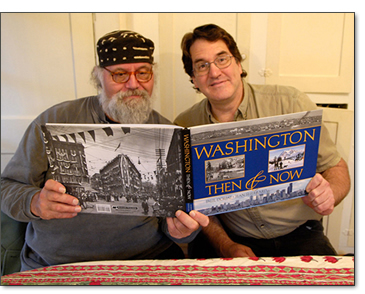 About Paul Dorpat: Beginning in 1982, Seattle historian and photographer Paul Dorpat published the “Now & Then” column in The Seattle Times: Pacific Magazine. The column originally compared two photographs, “repeating” a view of downtown Seattle taken in 1919 at Pike Street and 4th Avenue with a view of the identically located but very different Pike Street and 4th Avenue taken in 1981. Dorpoat continued this series of Seattle photographs — her streets, lakes, docks, buildings, bridges, hills, regrades, visitations, occasions. About Jean Sherrard: Jean Sherrard has worked as an actor, writer, director, photographer, teacher, carpenter and private detective. Co-founder of the Globe Radio Repertory, he wrote and directed scores of radio plays for National Public Radio. His photos and articles have been featured in numerous publications. Please visit Sunset Hill Community Association Web site for accessibility information, or call SHCA at 206-784-2927. 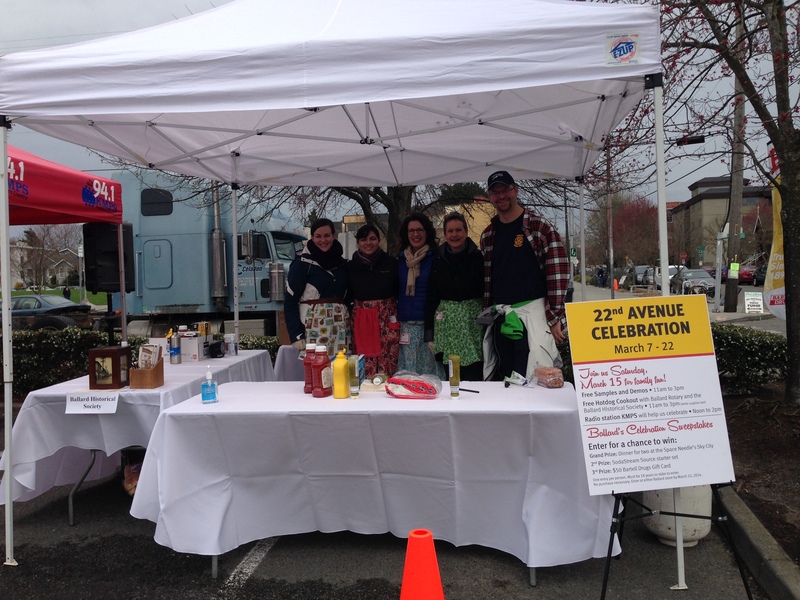 Ballard Historical Society was on hand to celebrate the local drugsore’s second location in Ballard on March 15. People love free hot dogs!